Did your company, cause or client create an engaging, effective cause marketing campaign in 2012? We want to see it! 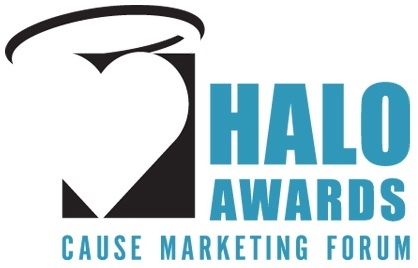 The submission period for the 2013 Cause Marketing Halo Awards is now open – click here for application materials and entry information. The deadline is January 31 (or February 6 with a small late fee). What creates a winning entry and is sure to raise the eyebrows of our judges? 1) Make sure your effort is a cause marketing campaign. Sounds simple but you’d be surprised how many entries we receive each year that do not meet this basic description. In our book, cause marketing is a company partnering with a cause for mutual benefit. Typically consumers or employees are involved. Flat donations are lovely but don’t count. 2) Show business benefit. In our book, business benefit is the name of the game. How, specifically, did your business benefit from the partnership? Did you earn more referrals, increase comments on your blog, see a spike in sales or in social media engagement? Media impressions are great but if you’re able to go beyond these PR metrics, even better. If you request that we keep these metrics confidential, we certainly will. 3) Tell the story. The judges likely don’t understand your business model, so provide some context. Why did you choose to undertake this partnership? How did you select your cause partner or focus? What does it mean for your brand? For your employees? For your customers? Draw the reader into the story. We’re not necessarily looking for volume, here, but entries that fit onto a single page with no supporting material simply don’t provide enough information for judges to dig into. Want to see examples of past campaigns that have won? Search the Halo Archive here. Remember, you’re not only earning recognition for your company, you’re doing your part to raise the bar for cause marketers everywhere. Questions? Just drop us a line!